Mrs. Jane M. Bulla (nee Calcutt) born December 16, 1932 in Lowell, Massachusetts departed this earth on October 31, 2018. Jane was the devoted wife of R. Donald Bulla for over 63 years. She leaves behind four children, eight grandchildren, and one great grandson. Jane was a long term parishioner of St. Mary of the Mills Catholic Church where she was active with the quilting group as well as always helping with Granny’s Attic. Jane was deeply engaged in her community in many ways, including the Laurel Museum, Laurel Citizen’s Police Academy Alumni, and the Community Emergency Response Team (CERT). Jane was preceded in death by her father Edwin Calcutt and mother Phoebe Calcutt, as well as sister Ruth Siok and brother Edwin Calcutt. Jane was a nurse who began in the Veterans Hospital in Massachusetts and went on to work in a wide variety of facilities and specialties, including Suburban Hospital as a Critical Care Nurse, and was widely known for working at Dr. McCeney’s office on Main Street in Laurel. She then worked for Dr. Buell’s office upon the retirement of Dr. McCeney. Jane went on to be a pioneer in the field of Occupational Health Nursing at The National Security Agency from whence she retired in June 1996. Jane touched many lives and built lifelong friendships with nurses, doctors, patients and co-workers. 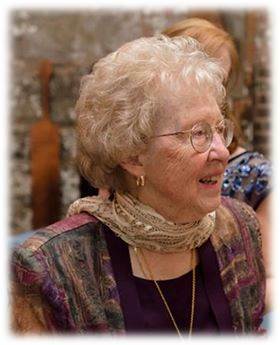 Jane’s passion was her family, but she also enjoyed quilting, reading, travel and time with cherished friends. Jane was enormously proud of her children: Mary Jane Bulla-Sanchez (Carlos), Elizabeth Ann Williams, Mark Donald Bulla (Tami), and Patrick Michael Bulla (Maria). She loved her grandchildren: Robert Bruce Williams, Jr., Joshua Adam Williams, Rachael Marie Gregorakos (nee Williams), Katherine Marie Bulla, Michael Christopher Bulla, Joanne Kathleen Bulla, Abigail Jeannette Bulla, and Stephanie Jane Bulla Sanchez. Great joy came with the arrival of her first great grandchild, Yianni Thomas Gregorakos. Jane leaves a legacy of deep love in her family and friends who will surely carry on many of the rich traditions that she instilled in each family celebration. Visitation will be on Wednesday, November 7, 2018 at the Donaldson Funeral Home, 313 Talbott Avenue, Laurel, Maryland 20707 between 2:00 PM and 4:00 PM and 6:00 PM and 8:00 PM. A full Catholic Mass will be held at 1:00 PM on Thursday, November 8, 2018 at St. Mary of the Mills Catholic Church at 114 St. Mary’s Place, Laurel, Maryland 20707. A reception celebrating Jane’s life will follow. A private interment will be held at a later date at the Veterans Cemetery in Crownsville.